Received the pitch servo and bracket so thought I would change course a bit and get that installed. This was a very easy process. You start by simply attaching the servo to the bracket in the kit. May want to prime this before. Go the bolts in and I decided tie wire everything so that I know it will not come loose. Take out the screws holding the pitch push rod and than reattach only this time put the bracket in first. Tighten per toque values. Measure out the on the bellcrank where the the pushrod from the servo will be attached. Installed the bolt and nut and that is about it. 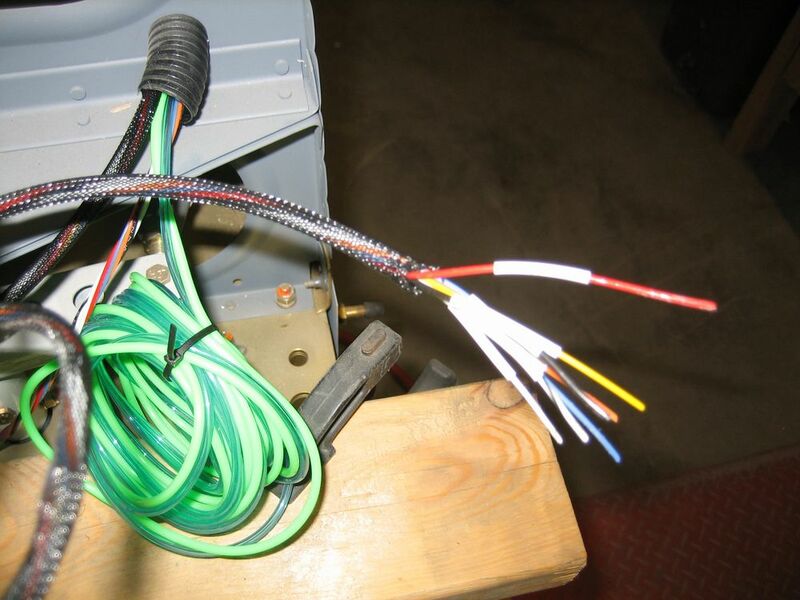 For the wiring, I ordered a harness kit from Stein Air and will install once it gets here. Purchased the Aileron trim system and decided to get it installed in the wing before riveted on the bottom skins. This was fairly quick and was straight forward. Pulled out all the parts, cut them as directed, deburred all the edges and clecoed together for final drilling. Got all the final drilling done and prepped all parts for priming. While they were drying, I went ahead and ran the wires the the wing conduit to the wing root. Only going to leave enough wire to get to the outer fuselage as I plan to put on a some bulkhead CPC connectors so that if I ever need to remove the wings, the wiring connections will not be an issue. Also on the ends of the wiring, I am installing AMP connectors again so that the items can be removed and inspected as needed. Parts are all dry now so I finished Riveting the items together. 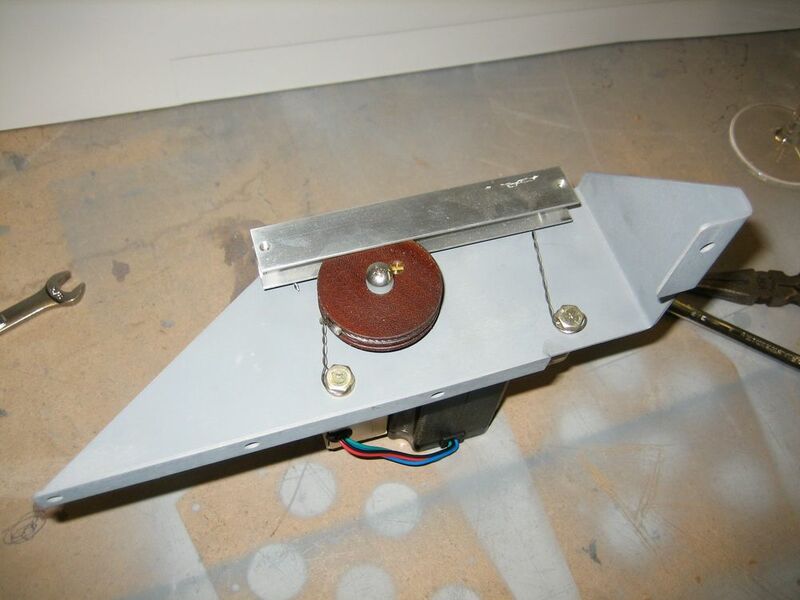 The trim servo attaches to an inspection plate so that also needs to be measured for 8R8 screws that will go through the inspection plate into the bottom of the servo attach brackets. These also need to be dimpled for flush # screws. Now that that is completed, the last part is to attach a couple of brackets to the aileron pushrod assembly. Got the locations marked per the directions and installed with rivets. The servo can now be screwed to the inspection plate and then springs coming from the aileron pushrod assembly can be connected to the arm coming off the servo. Once those are on, connect the wire connectors and attach the inspection plate to the bottom wing skins. Finished. While I am waiting for the sealant to dry on the trailing edge of the flaps, I took the time tonight to install the roll servo in the right wing for the autopilot syststem. The roll servo kit contains all the necessary hardware and brackets for the installation. However, the instructions are not very good. Once completed they make much more sense but at first they are a bit scarce. Started off with attaching the large bracket to the servo. This bracket will actually replace the lower bellcrank bracket. You have the option to install the bolts with lock washers or safety wire them. I chose to do both, can't hurt and adds that little bit of extra safety. Then also attached the upper bracket to the servo that will be also mounted with the top bellcrank bracket using the same bolt for both pieces. I then attached the stop plate to the servo. 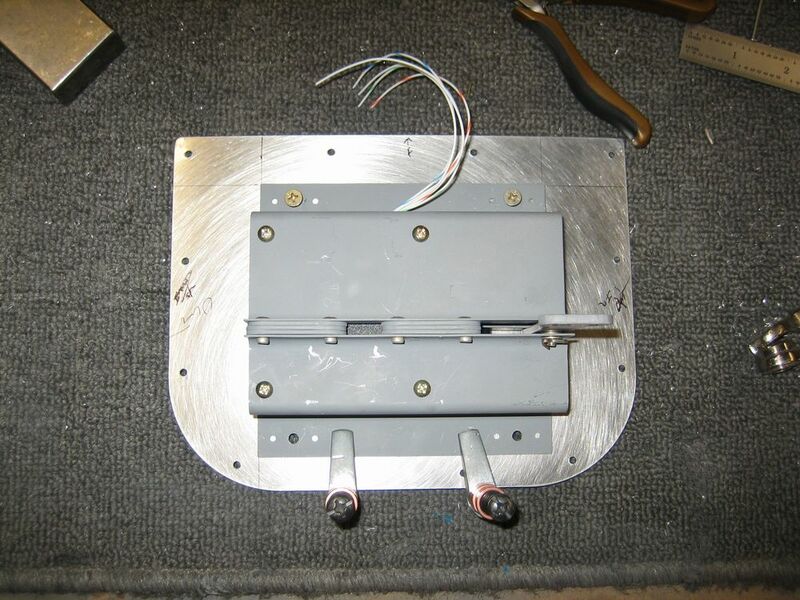 Remember to put a AN960-10 washer between the plate and the servo for spacing. I did do all this before installing it onto the wing spar. I then attached the rod end bearing to tehe servo arm with a AN3-6A bolt and the included washers. Prewtty straight forward. Also did the same with teh attach plate that is to be attached to the bellcrank bracket. Just installed finger tight on this rod end bearing till the pushrod is attached. Now that I most of the stuff I could do on the bench is done, I remvoed the lower bellcrank bracket and installe servo and bracket in its place. Decided to replace all the bolts with new ones. Removed the upper bellcrand bracket bolt, the one towards the outboard side and slid the upper servo bracket in and reinstalled the bolt. Installed the attach plate onto the bellcrank with and tightened. Then with a #10 drill bit I drilled the second hole for the bracket and installed a AN3-3A bolt. The last piece to go on is the push rod. Installed on serve end first the attached the other rod end bearing then bolted that to the attach bracket. Finalized it all up by torquing the bolts and that was it. Will wire it later when doing the rest of the wings. I had a harness built by Stein Air so it is just a matter of running the harness.